Home, Door, & Window Products will increase energy efficiency within your home and will also make your home feel more modern. We also have a wonderful showroom display that allows our customers to come and see for themselves the patio door or slider door options we have available for their home or business. Home & Door services both residential homes and commercial businesses with the very greatest functioning patio doors, which will also increase the security of your home or business. We provide great quality products combined with excellent service for installation of patio doors and sliding doors. 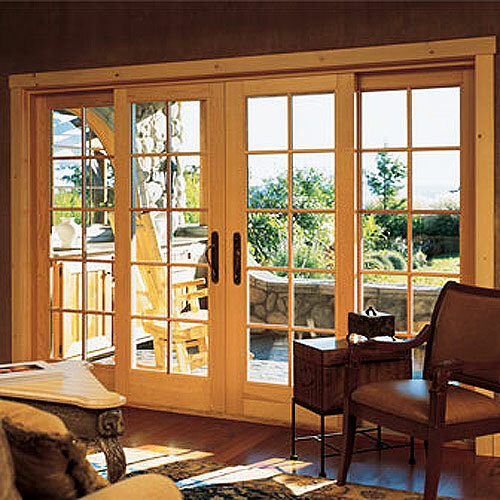 Home & Door is the top choice for Shelby Township residents because of our glass sliding door service and patio doors. Just ask some of our customers from Shelby Township! Home & Door is the leading business in the industry for any Shelby Township resident because we deliver wonderful service to every one of our customers. A lot of our customers love our thorough cleanups and our reliable service that Home & Door provides. Our staff is full of trained experts who are trained to help you pick out the perfect patio door or glass sliding door for your home! Shelby Township, Michigan is a charter township located within Macomb County, and is also a northern suburb of Detroit. It currently has a population of 73,800 people, and is one of the fastest growing communities in Metro Detroit. Our expert craftsman always provide the most beautiful quality work with affordable prices too! Home & Door is the first choice for high quality patio doors, slider doors and glass sliding doors for your home or business. You can also get ahold of us by calling us or visiting us on our website to receive a free no obligation estimate of your next patio door or glass sliding door that will meet all of your requests. Feel free to stop by our public showroom and take a look for yourself at our wonderful glass sliding door products. You can also come and meet our specialists who will guide you through your purchase of one of our slider doors or patio doors. Home & Door will always pass your expectations, every time!